This is a 1974 ad for a Buck Knives! The size of the ad is approximately 5x5inches. 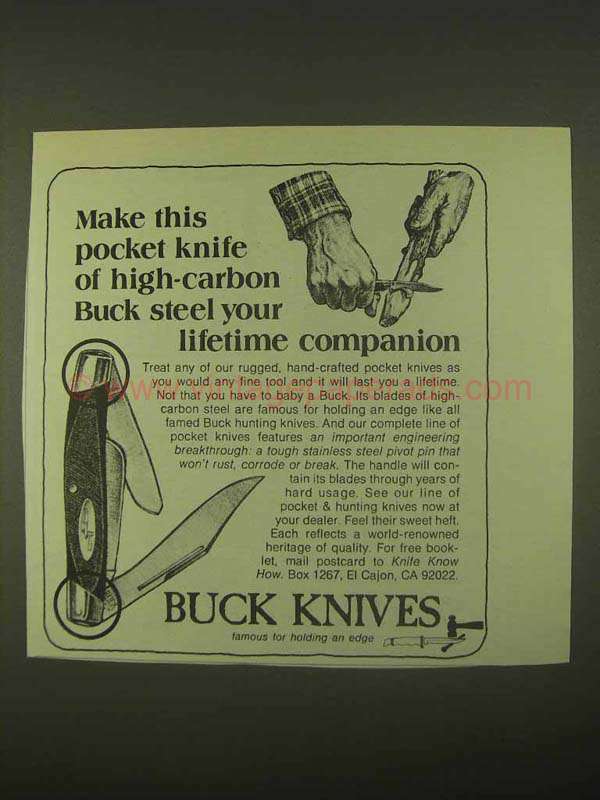 The caption for this ad is 'Make this pocket knife of high-carbon Buck steel your lifetime companion' The ad is in great condition. This vintage ad would look great framed and displayed! Add it to your collection today! 1980 Buck Knives Colt #703 Knife Ad!